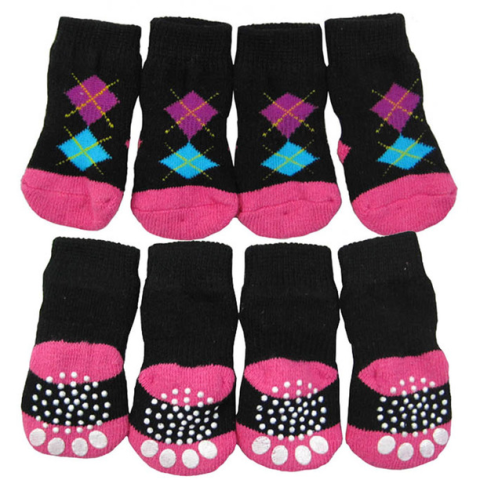 staying nice and warm on a cold day with these stylish argyle slipper socks on their paws. Even indoors can be chilly on a cold winter's day, especially if you are keeping a watchful eye on your energy bills. 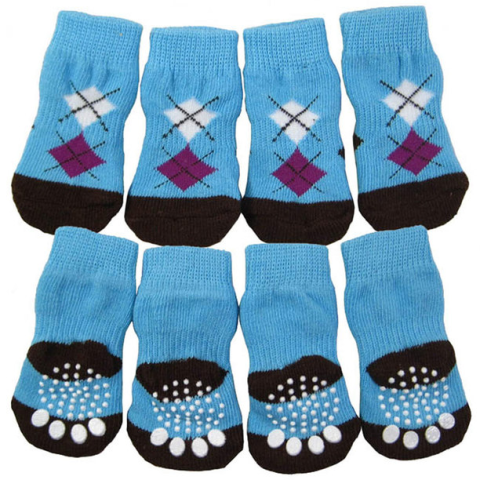 Your cold canine will appreciate the warm toes this winter. You'll appreciate it too when they aren't trying to warm their paws on you. Click here for pink. Click here for blue.